Does your perfect pup get a little anxious when it's time to go to the groomer? Both of you can now relax — no more appointments necessary. Lucky for you, this luxurious bath and body treatment keeps your royal highness silky, shiny, soft and smelling so sublime ... without ever leaving your home. She'll delight in showing off her pawsitively plush results — one paw up all other pups! Royal Treatment will donate 2-1/2% of the purchase price to Animal Aid USA to fund free spay/neuter in low income areas throughout this country. I only use Royal Treatment products on my miniature schnauzer, and bath day is every weekend. The conditioner is rich and smells good. I brush him twice a day and the conditioner helps keep his skin and fur soft. Royal products are made in Italy and the price is fair. This is the best shampoo and conditioner I have used. 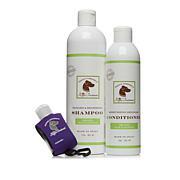 It lathers well and gives a great coat on my two dogs, one a Malteze/Shi-zu and a Pekingese. And the wonderful fragrance lasts a long time. I have only tried the Coconut and Vanilla and it is divine! And to top it off it has no harmful chemicals! All Royal Treatment products r excellent. The fragrances are beautiful. It is wonderful to know I can use any of these product with confidence. Your dog feels pampered afterwards. I currently own a Malti-poo & a Yorkie. They both enjoy Royal Treatment products. I love them! 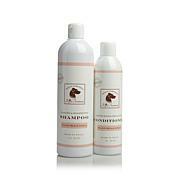 I have been using Royal Treatment shampoo and conditioner on my Ruby Cavalier King Charles Spaniel for years now. It is ONLY product I will use. His coat is absolutely beautiful. The shampoo and conditioner enhances the color and makes it shinny, silky and healthy. It's smells wonderful too. I receive so many compliments from strangers. My sweet, spoiled little angel loves being pampered and deserves nothing less than the Royal Treatment. For me, there is no other choice. Highly recommended! Inspired by his black Labrador retriever Belle, Prince Lorenzo Borghese created the Prince Lorenzo’s Royal Treatment line. 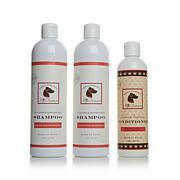 Offering purely organic and natural dog and cat products, it pampers your precious pet. 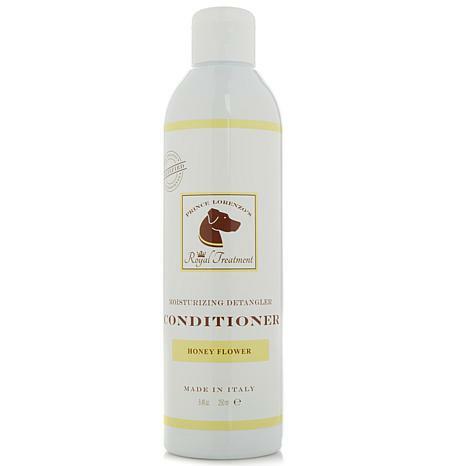 Gentle grooming formulas created in Italy thoroughly cleanse fur, moisturize the skin and promote a healthy, shiny coat. A multitude of other unique lifestyle products make your pet feel like it’s best in show. Prince Lorenzo has also received numerous awards for his pet welfare work and is co-founder of Animal Aid USA, an all-volunteer, not-for-profit organization that rescues an average of 200 dogs per month. What It Is Nourish shampoo formulated with quinoa husk, honey, and other key ingredients and conditioner formulated with coconut oil, kaolin clay and other key ingredients, helps cleanse and condition dry, dull hair for soft, shiny, touchable strands. What You Get 11 fl. oz. Biolage R.A.W.